ShonaAbstract carved wood sculpture Mid Century Modern Africa 1970's. 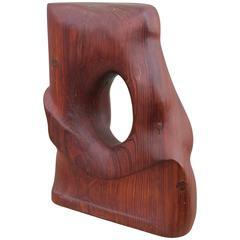 A modernist wood sculpture Abstract Torso signed Brumme, 1946. 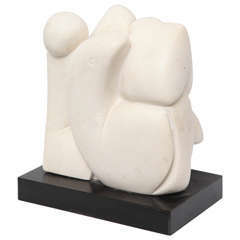 A 1970s modernist alabaster sculpture by W. P. Katz titled "The Last of the Species"
1980s carved wood abstract sculpture. Signed and dated. 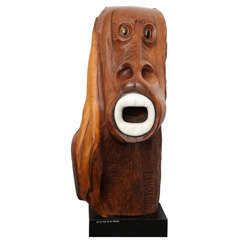 1970s modern sculptural wood sculpture. "Signed". 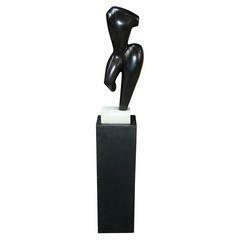 For your consideration is a stunning, abstract table sculpture, made of bronze on a wooden base, circa 1970s. In excellent condition. 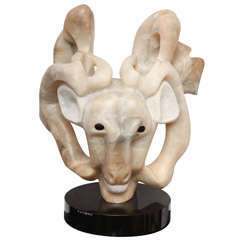 The dimensions are 7.5" Sq x 20" H.
African Shona art sculpture from Zimbabwe's Shona tribe and carved from serpentine stone. 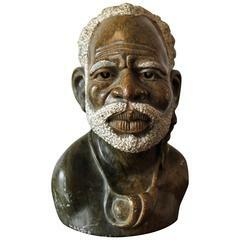 African Shona art sculpture from Zimbabwe's Shona tribe signed Masoka and carved from serpentine stone.